In ANOTHER TIME, anthropologist Alisha Law accompanies her two colleagues to the present day because she understands the customs, morés and convoluted language of the 21st century. Not only does she dislike everything about this time period, but she’s mystified by its odd sexual customs. When Pastor David Ryan befriends her, she’s confused about him, too. He actually believes in a Supreme Being and the archaic concept of religion, neither of which exist in future. 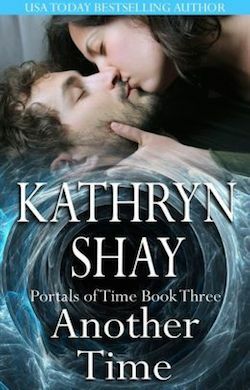 But when they grow close, and fall in love, she becomes wary when he asks her break all the rules of time travel.